veetoo’s creative director Stephen Bradley was tasked with designing marketing collateral for Georgia based Albany Inc, one of the largest independent roller shutter door manufacturers in the U.S., that would effectively stand out from generic marketing materials arriving on the desk of the company’s existing and potential client base. 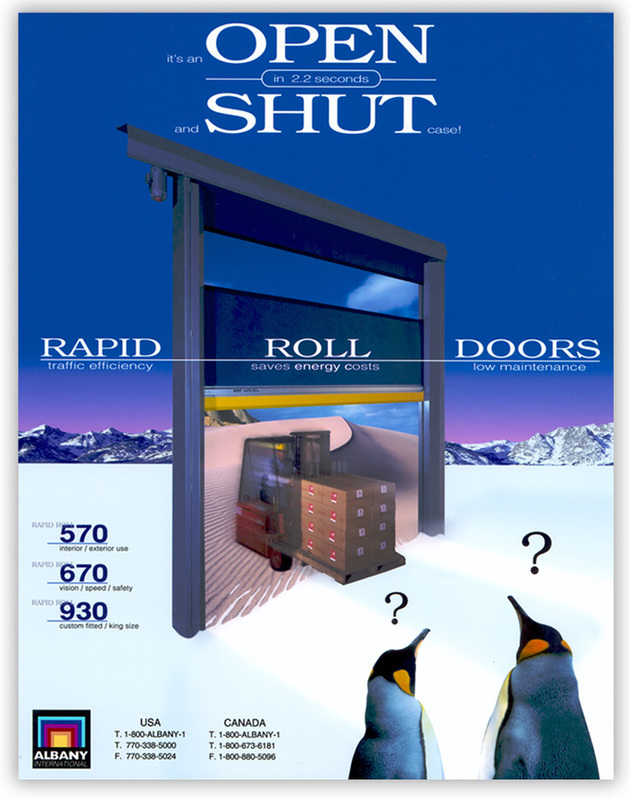 As the primary features of this product range were insulation and speed, Stephen conceived a graphic design driven by a surreal photo driven design that shows a forklift operator driving from desert heat and in to an arctic environment, to depict the insulating properties of the client’s roller doors. 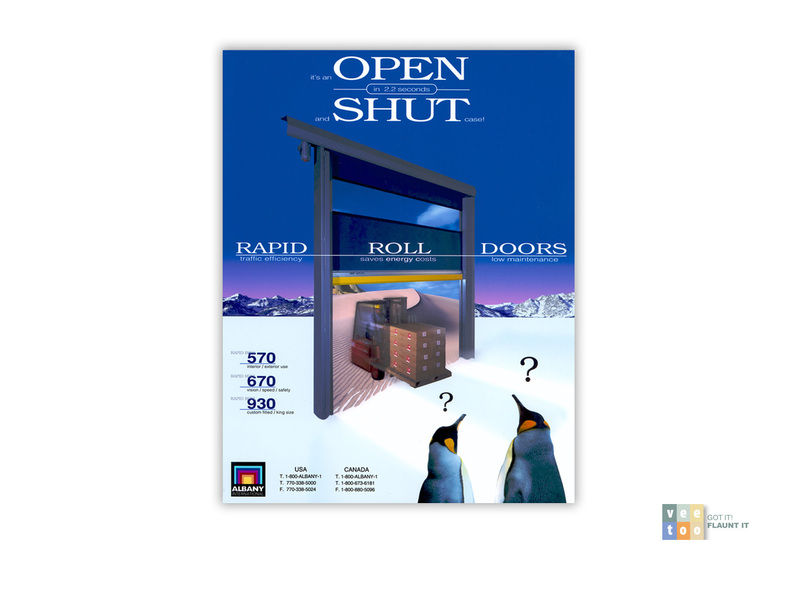 The design superceeded the clients expectations and effectively engaged those exposed to this unique marketing collateral.